Please help me welcome today’s guest, Adam Mann who is sharing a hot romantic suspense! Jennifer, an accountant in Thailand, watches a television programme about two strangers, a man and woman, who spend twenty one days in a remote area with only a machete and a flint between them. They have no clothes, food or water but have to survive. They build their shelter, find food and water. Jennifer lives in Bangkok and gets cross when the man on the TV programme who stupidly refuses to work in cooperation with the woman! She challenges some of her friends on the social media network, determined that she could to a better job than either of the contestants, and her challenge is accepted by a farmer, Charles, living near in East London in South Africa. They see what each other looks like from the photos on Twitter, and they exchange backgrounds. They start planning their adventure, and try their hardest not to cheat, but they have no back-up team and have to organise everything themselves, and initially without their families knowing. She has just recovered from a divorce, and he is single, and they chose a remote area in the highlands between Thailand and Laos. The remote area randomly chosen by them does provide them with a small stream and a variety of plants and vegetables. Charlie manages to catch a fish and they both use the local resources based on their life experiences, but neither is a survival specialist. It is fortunate that they liked one another, but the trouble starts as they begin to fall in love. 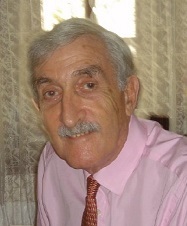 Adam Mann has written twenty four romance books all based in parts of the world where he has lived and worked. As a result five are in sub-Saharan Africa, eleven are in South or East Asia, and only seven based in the UK. One is still in draft form. Adam has been married four times, his first wife died, the second divorced him, the third marriage was annulled as that wife had forgotten to get divorced, and the fourth wife is fit and well. They have between them seven children and four grandchildren. As a result Adam thinks he knows a bit about life and loving. Please help me welcome today’s guest, Constance Walker, who is sharing a little about herself and her brand new release. It’s a gothic mystery, which I love! 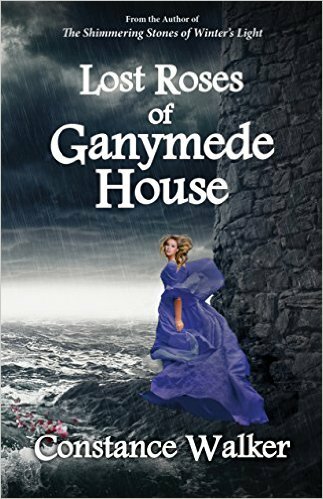 Where did you get the idea for Lost Roses of Ganymede House? One afternoon I was driving over a bridge and I saw this beautiful stone mansion sitting on a cliff overlooking a river and I was intrigued with it. I wondered who lived there and for how long and who they were and what kind of family it was and if it was a happy household and one thought led to another and — you know how you used to play the “what if?” game when you were younger? Well, I began playing that game in my mind: “What if the house was overlooking a sea in rural England? What if it was in Victorian times?” And then, “What if that beautiful house was haunted and had a ghost and who was the ghost and why was it there?” And by the end of the drive I had the premise for a Gothic mystery. The title? Roses – the scent of them – is a feature of the book so I knew that had to be part of it. And I have always had a fascination with the planet Jupiter – don’t ask me why because I can’t really tell you — and I took one of its moons – Ganymede – and named the house after it. And somehow it all worked and I had my title, Lost Roses of Ganymede House. When I write, I sometimes speak the words out loud as I’m typing. It helps me with the grammar and punctuation and also catches any awkward phrases, etc. Jake, my wonderful/fantastic 12-year old rescued hound/shepherd sits beside my desk and he’ll look up at me as though he’s also critiquing, but he never offers an alternative. All he wants is another treat. Not a book but a movie script. THE WAY WE WERE. I absolutely loved that screenplay and I’ve seen the movie a dozen times and each time I am so impressed with the writing and the concept. And even though it had a bittersweet ending, it was a great romance. “Loyal.” Once you’re included into my family or are my friend then that’s it! It’s a bond for life. What is one word you think others might use to describe you? “Tenacious.” I’ll fight forever for people, animals, causes – anything that will make life a little better for everyone on this earth. I joke that my parents must have known what kind of person I would be and named me Constance – it means steadfast, never yielding. It’s an old non-fiction book I discovered many years ago, SERENADE TO THE BIG BIRD. It was written during the Second World War by Bert Stiles, an Army Air Force bomber pilot. It may have been one of the first non-fiction books I ever read and I was completely blown away by the way he wrote about his experiences and his outlook on life and war and peace. It was published posthumously – he went down with his plane during an air battle. I’ve mentioned the book several times to other writers and I’m always amazed that someone has also read it and considers it to be one of the best non-fiction books they’ve read. What do you want readers to come away with after they read Lost Roses of Ganymede House? A sense of enjoyment, of caring about the characters and the storyline and a good feeling about having spent their time reading the book. When I get reviews from readers on Facebook or Goodreads who write that they loved the book so much that they wished it never ended … that’s the ultimate praise. And that’s when I really do say “thank you” out loud and want to sit down and write another book immediately. “There, Miss, that be Ganymede House in the distance,” says the driver of her carriage as newly impoverished Sarah Scott gets her first glimpse of the magnificent house in Yorkshire, England, where she will live as tutor for the two children of widower Oliver Grayson. But, unknown to the young woman, she is about to venture into a bleak home where the children are silent, the master morose, the servants suspicious and the family history forbidding. And, as she begins to take on the responsibility for the children’s education, Sarah finds herself caught up in the hostile spirit that permeates Ganymede–the portrait of Oliver’s wife, Rosamunda, that is locked away in an unused bedroom; the mysterious scent of roses in rooms where no one has entered; the mystery surrounding Rosamunda’s death and the banishment of the mother’s imprint on the children and the manor. Slowly Sarah comes to realize that evil inhabits the house and that she no longer is an outsider to the family–what stalks and touches Ganymede now touches her. Interviewer: What inspired you to become a mystery romance writer? Joe: I have always been a mystery fanatic. As a child I read three mystery novels a week, watched The Alfred Hitchcock mysteries on television, and saw every mystery movie possible. This passion continued throughout my teen and young adult years. Eventually I became an actor in film, television, and theatre, working opposite stars like Bruce Willis, Nathan Lane, Rosie O’Donnell, Holland Taylor, and Jason Robards. One of my jobs was playing Ross (I mean Ross not Hercule) Poirot in a murder mystery dinner theatre show. Since a great deal of that show was improvisation, it occurred to me that acting is storytelling in the same way that writing is storytelling, so I decided to give writing a try. After writing some plays, I knew my novels would include show business in some way, since show business has always been such a huge part of my life. As an avid mystery reader, it was clear to me that my novels would also be page-turning mysteries with clever plot twists, engaging characters, romance, and lots of clues leading to a surprising conclusion a la Agatha Christie. Since coming from a funny Italian-American family, I also knew humor would play a role in my novels. Interviewer: Can you tell us readers a little bit about creating the Jana Lane mystery series? Joe: As a child I loved child stars like Shirley Temple, Hayley Mills, and Patty Duke, seeing their movies over and over. So I created a heroine who was the biggest child star ever until she was attacked on the studio lot at eighteen years old. Through the course of the books, Jana not only solves the mysteries, but also reclaims the courage and fortitude she had as a child. This is an important message for all of us. As one reviewer wrote, she starts out as a wounded bird, and ends as tiger. In PAPER DOLL Jana at thirty-eight lives with her family in a mansion in picturesque Hudson Valley, New York. Her flashbacks from the past become murder attempts in her future. Forced to summon up the lost courage she had as a child, Jana ventures back to Hollywood, which helps her uncover a web of secrets about everyone she loves. She also embarks on a romance with the devilishly handsome son of her old producer, Rocco Cavoto. In PORCELAIN DOLL (The Wild Rose Press), Jana makes a comeback film and uncovers who is being murdered on the set and why. Her heart is set aflutter by her incredibly gorgeous co-star, America’s heartthrob Jason Apollo. The other suspects include Jana’s James Dean type young co-star, her older John Wayne type co-star, her children’s Eve Harrington type nanny, the film’s gossipy makeup and hair artist, a local reverend trying to stop the film’s production, and Jason’s agent. In SATIN DOLL (The Wild Rose Press), Jana and family head to Washington, DC, where Jana plays a US senator in a new film, and becomes embroiled in a murder and corruption at the senate chamber. She also embarks on a romance with Chris Bruno, the muscular detective. Jana rubs elbows with senators on both sides of the aisle, a lobbyist, and a Washington reporter. Her husband also goes through a personal crisis. Interviewer: How have the reviews been for the series so far? Interviewer: Tell us about the current release, CHINA DOLL. Joe: In CHINA DOLL (The Wild Rose Press), Jana heads to New York City to star in a Broadway play, enchanted by her gorgeous co-star Peter Stevens, and faced with murder on stage and off. It is old home week and nepotism in action as the play is produced and written by the same producer (Stanley Rothman) and author (Katrina Wright) who produced and wrote Jana’s first Broadway play when she was five years old, Sweet Nothings. Jana’s co-star from Sweet Nothings, the aging but still gorgeous and mysterious Savannah Stevens, is co-starring in China Doll, along with Savannah’s incredibly handsome and muscular son, Peter Stevens, in his Broadway debut. Rounding out the cast are Rothman’s granddaughter Bella, Jana’s nephew Brad, and Jana’s youngest son B.J. And the play is directed by Katrina’s new and much younger husband, the studly Tony Cuccioli. Also in the cast are Sally Chen a recent Tony Award winning actress, and Tate Moonglow a transplant from Off-Broadway. During rehearsals, attractions come to the surface between Tony and Sally, Brad and Bella, Tate and Gary (B.J.’s new nanny), and even Jana and Peter. Art imitates life as members of the production team of China Doll are murdered, personal secrets are revealed, and Jana once again uses the skills she learned as a child star to solve the crime. Also, Jana and her husband go through a personal crisis, however, her son B.J. is bitten by the acting bug and has the time of his life. Interviewer: Who is your favorite character in CHINA DOLL? And why? Joe: I really enjoyed writing the comically neurotic Gary Royale, B.J.’s (Jana’s youngest son) new nanny, and of course the Broadway musical buff Detective Douglas was great fun. Interviewer: Which one of your characters was the hardest one to write? And why? Joe: Savannah Stevens is an aging beauty with fond memories from her past on Broadway and as a movie star in Hollywood, yet she carries the burden of an aging actress in a youth-oriented society. Interviewer: With her gorgeous violet eyes, is Savannah based on Elizabeth Taylor? Joe: Savannah is a smart, strong, talented woman like Elizabeth Taylor, however, she doesn’t have anywhere near as many husbands or such a troubled life. Interviewer: Is Katrina Wright the highly successful mystery writer supposed to be Agatha Christie? Joe: They are both very successful, older female writers, but Agatha Christie wrote many novels and a few plays, Katrina has written many many plays and no novels. Also unlike Agatha Christie, Katrina has a young stud husband. Interviewer: David Mamet wrote a play on Broadway in 2015 called CHINA DOLL. Any connection to your novel. Joe: None. I think it’s fascinating that there really was a play on Broadway called CHINA DOLL, though Jana wouldn’t know about it since my novel takes place in 1984. Interviewer: You acted onstage with Bruce Willis in A MIDSUMMER NIGHT’S DREAM and Nathan Lane in THE ROAR OF THE GREASEPAINT. Were you able to use your theatre background in writing CHINA DOLL? Joe: I wrote, directed, and acted in a number of plays. I used my experiences many times in CHINA DOLL when writing about the role of the playwright, director, stage manager, producer, actors, designers, and technicians. I know first-hand what it’s like to do a read through, a blocking rehearsal, rehearsals, dress rehearsals, and performances. Though thankfully nobody was murdered in any of my plays. Interviewer: How amazing that Jana’s youngest son B.J. takes so well to the stage. Joe: Like mother like son—and grandfather and uncle. Interviewer: In the novel Katrina and Stanley use their religious beliefs as a weapon to try to fire one of the cast members. Do you think people of faith will be offended by that? Joe: I sure hope not. Jana is a Christian who prays and goes to church on Sundays. She seems like a true Christian to me since she tries to love her neighbor as herself, not judge others, and help the downtrodden and outcasts. Jana stands up to Katrina and Stanley because she believes any kind of discrimination is wrong, and that freedom of religion is far different from the freedom to discriminate. I assume Jana would defend Katrina or Stanley if someone tried to discriminate against them as well. As in the first three Jana Lane mysteries, Jana is tempted by a gorgeous man, this time the heartthrob younger actor, Peter Stevens. I can’t imagine anyone not being enticed by Peter Stevens. He’s what used to be a called a matinee idol. And Jana goes through a major personal event. I love that part of the story. It still brings tears to my eyes when I read it. And Jana is reconnected with her nephew. Who has changed his name and become a hungry for fame actor. Jana tries to give him advice, but like many young people. He doesn’t take it. Interviewer: I find it fascinating how Jana uses the skills she learned as a child star to solve the crime. How do you remember all of Jana Lane’s old movie titles and storylines? Joe: I keep really good notes on Jana’s old movies, and on each room in her Hyde Park, New York mansion. I also enjoyed writing about Jana’s gorgeous penthouse hotel suite. Interviewer: Since the book takes place in 1984, you included a great deal of history, music, and fashion from the era. Joe: Though China Doll is a fictitious play, I was able to place the theatre between the marquees of real shows playing at the time: Hurlyburly starring William Hurt and Christopher Walken and The Rink starring Chita Rivera and Liza Minelli. Since the book takes place in 1984, I included a great deal of history, music, and fashion from my favorite era. Layered hair, parachute pants, shoulder pads, lace gloves, leggings, and scrunchies are all there along with music like Bruce Springstein’s “Cover Me.” New York City is prominently featured in the novel with its luxury hotels, Central Park, Washington Square Park, Little Italy, and of course the theatre district. I was also able to include, the still new AIDS epidemic and the devastation it caused when ignored by our political representatives, as once again Jana sponsors a benefit for AIDS research. Interviewer: Which scene in the novel did you enjoy writing the most? And why? Joe: I loved writing the hospital scene the most. It’s so touching. Interviewer: Many of the men in the series are strapping, muscular, good looking guys. Did you do that intentionally? Joe: You mean since I’m not? Hah. Many of the women are gorgeous too. I’m enjoying exploring how the other half lives and loves. However, in CHINA DOLL, I have characters like Katrina, Gary, and of course Simon and Cornelius who don’t fit that mold. Interviewer: Everyone in CHINA DOLL seems to have a secret. Thank you for revealing them by the book’s end. Joe: Yes, each Jana Lane mystery is its own story. Readers get a complete mystery with each novel, as you said, full of revealed secrets. Interviewer: You play fair in your mysteries, meaning the clues are there, and so are the plot twists and turns, and white knuckle shocking ending. Joe: I don’t like mysteries where characters are introduced and the writer arbitrarily picks the murderer at the end. The readers feel cheated. At the end of a mystery, the readers should say, “Of course! How did I not see that?” I agree about the ending. It still makes my heart race when I read it—and I’m still surprised. Interviewer: Do you see the Jana Lane mysteries as a TV show? Joe: Totally! I want to play Simon Huckby! Interviewer: Who do you see as Jana Lane? Joe: I’m not sure. I hope the readers will send me some ideas! Interviewer: Do you have another mystery series besides the Jana Lane mysteries? Joe: Yes, the Nicky and Noah comedy mysteries published by Lethe Press. Each novel is loaded with wacky humor and romance in a fast-paced whodunit. Since I am a college theatre professor/department head, and theatre departments are havens of mystery, secrets, romance, and high humor; the series takes place at an Edwardian style New England college. In DRAMA QUEEN theatre college professors are dropping like stage curtains. With the inept local detectives, it is up to Directing professor, Nicky Abbondanza to use his theatre skills (including playing other people) to solve the murders, while he directs a murder mystery onstage. Complicating matters is Nicky’s intense crush on Assistant Professor of Acting, handsome Noah Oliver, the prime suspect in the murder. In DRAMA MUSCLE Nicky and Noah have to use their theatre skills to find out why musclemen are dropping like weights in the Physical Education department while Nicky directs the Student Bodybuilding Competition. In DRAMA CRUISE (not released yet), Nicky and Noah go on a cruise to Alaska, and discover why college theatre professors are going overboard like lifeboats while Nicky directs a murder mystery dinner theatre show onboard ship. Interviewer: Have you written other books besides mysteries? Joe: My MM romance novellas are published by Dreamspinner Press. They are AN INFATUATION, A SHOOTING STAR, A HOME FOR THE HOLIDAYS, and THE NAKED PRINCE AND OTHER TALES FROM FAIRYLAND. I also have an MM series COZZI COVE: BOUNCING BACK and COZZI COVE: MOVING FORWARD taking place on the Jersey Shore and published by Nine Star Press. Interviewer: Is writing an MF series different from writing an MM series? Joe: Not at all. People are people. Love is love. Mystery is mystery. We’re all connected. Interviewer: As a college professor/department head, how do you have the time to write? Joe: I write at night after my spouse has gone to bed. I have a beautiful cherry wood study with a fireplace, huge desk, bookcases, and window seat. My mother asked me, “How do you think up all those stories?” I told her I had a colorful childhood. Hah. Interviewer: How long does it generally take you to write a book? Joe: About three months working evenings and weekends. When I complain about my time, my mother says, “Just think how hard you’d have to work if you had a real job like your cousins” (lawyers). Interviewer: Who is your ideal reader of your books? Joe: My ideal reader is a lover of mystery, romance, and Hollywood. Someone who craves being swept away by a story and becoming part of the novel. My reader loves clues, suspects, and plotlines that zigzag with numerous surprises leading to a shocking yet totally justified conclusion. Finally, my reader relishes in beautiful, lush locations and captivating characters as she/he enters the portal of my book. Interviewer: What are you writing now? Joe: The next Jana Lane mystery of course: RAG DOLL, where Jana is offered the leading role in a TV pilot about an amateur sleuth. Of course murder and romance ensue. Feeling the warmth and smoothness of his strong hand, Jana felt like a shut-in at a blind date with Mr America. “It’s Miss Otley…rather Mrs. Lane…Mrs. Otley, but please call me Peter.” Jana turned the color of her avocado dress. I am one of those increasingly rare breeds—a native New Yorker. I was born in Manhattan, grew up mostly in the Bronx, then married and moved to Brooklyn. Our two children, Jennifer and Steven, were born and raised here. We have also had two cats along the way: Odysseus, sweet and loving, followed by Rocky, who lived up to his name as a tough guy with a big heart. Having sampled the other four boroughs (I lived briefly in Queens as a child, and we frequently visit family on Staten Island), I wouldn’t trade Brooklyn for any of them. We have Prospect Park with its terrific zoo; Brooklyn Botanic Garden with its glorious cherry trees; the Brooklyn Museum, famous for one of the best collections of American art in the world; a great public library three blocks away; and the magnificent Atlantic Ocean within walking distance. What better place could there possibly be for my husband and me to spend our happily-ever-after? Where did you get the idea for SIZZLE? Like many writers, my primary interests are books, art, music, and nature. The world of finance had always been a mystery to me, and I was happy to let it remain so. But one day after reading yet another front-page report of a ruthless corporate takeover battle, I decided that I had to learn more about the financial world. I began reading the business section of The New York Times and books about finance. The more I read, the more fascinated I became. What if, I asked myself, a beautiful, brilliant woman decided to take on these Wall Street vultures and fight them for a particularly juicy corporate plum, maybe the most profitable and glamorous magazine in the world? How would she do it? What kind of life would she lead? What exotic places would she visit in pursuit of her goal? What treacherous traps would her opponents set for her? How would she escape them? Could she escape them? And so SIZZLE was born. I hope that your reading about the dazzling Marietta Wylford and her perilous pursuit of corporate power will be as exciting and delicious as my writing about it was. What do you want readers to come away with after they read SIZZLE? Most of all, I want readers to have had a good time. I want them to enjoy experiencing New York City’s most glamorous places, from multi-million-dollar penthouse apartments to exotic five-star restaurants. I want them to feel that they, too, were warmed by the golden rays of the sun on the French Riviera, inhaled the fragrant blossoms of the floating flower markets on Amsterdam’s unique canals, felt the breeze on their cheeks as they strolled the Champs-Elysée and the Bois de Boulogne in Paris. I want them to have felt the excitement and suspense of the perilous battle for the corporate prize. And I want them to shudder along with Marietta when she discovers the dangerous and horrendous secret buried deep in Harrison Kendricks’s past. This is a tough question because there are so many great actors out there. I think I’d like to see Cate Blanchett as Marietta. She would have to dye her hair red, but that may well be its natural color. Cate is beautiful and brilliant, and I think she could bring the ambitious Marietta to life with all of her dreams, fears and complexities. Leonardo DiCaprio would ideal for the role of the smooth and mysterious corporate raider, Harrison Kendricks. Though handsome, he’ll look threatening in the tinted glasses that he will have to wear. Rooney Mara would be perfect for Melanie Danielle, Marietta’s reticent but brilliant and loyal lawyer-assistant. Bryan Cranston, could definitely be Harlan Wylford, Marietta’s adoring husband. And Richard Madden would be perfect for Craig Campbell, the actor who is and will always be the true love of Marietta’s life. SIZZLE is filled with many more intriguing characters, and I think readers will have fun playing casting director after they have finished the book. When I was a child, I was fascinated by, and really believed in, fairies and pixies. I loved fairy tales and made up my own, usually encouraged by friends. We used to have great fun acting out the stories. As I grew up and outgrew the stories, I began collecting fairies and pixies. They now gaze down on me from shadow boxes and the tops of bookcases. A group of them sit on my desk and cheer me on as I work. They never fail to make me smile. I think the child in me still half-believes in them. I’m convinced that I have a real pixie in my home. After all, who else could be responsible for hiding my eyeglasses and whisking away the earring I remove when I’m talking on the phone—and then leaving it to turn up two days later in some unexpected place? For someone who loves reading as much as I do, it’s really difficult to narrow it down to one favorite book. I suppose if someone held a gun to my head and I really had to come up with an answer, I’d choose William Makepeace Thackeray’s Vanity Fair. I know that by today’s standards it’s long and rambling, but Thackeray’s satirical take on Victorian life is delicious and his characters are unforgettable. It also has one of my favorite quotes, Becky Sharpe saying, “I think I could be a good woman if I had five thousand [pounds] a year.” That seems to sum up the whole premise of Victorian society (and perhaps even contemporary society) in fifteen words. Translation: “Money makes the world go round.” Today’s authors can learn so much from the old masters. If you were stranded on a desert island and you could have three inanimate objects, what would they be? Only three? This is a tough one! I’m not a very practical person, but if I’m going to be stranded on a desert island, I had better let the practical me take over. In that case, I think that the first object I would pack should be a Dummies book titled, HOW TO BUILD A RAFT WHEN STRANDED ON A DESERT ISLAND. Next, I’d pack a flashlight, so that I could read the book at night. I’m assuming my island would have plenty of rocks lying around so that I could rub two together to make a fire to keep me warm and to cook the fish I’d have to catch with a stick I’d sharpen. Uh-oh. How do I sharpen the stick? Okay, I’ll read the manual by the fire I make with the rocks. That means I can eliminate the flashlight. So now I have two more things I can bring. One of them will have to be a Swiss Army Knife so that I can sharpen the stick and clean the fish. Now for the last object. It will have to be something to keep me from going crazy out there all by myself, and we all know what that would be—a book. But what book? I’m pretty much all thumbs, so it’s going to take me quite a while to build that raft. Maybe years. It would have to be along, interesting book. One I wouldn’t be able to memorize. I think I’ll opt for a big, unabridged dictionary. What better companion for an author? We’re all addicted to words! LOL, Barbara. I enjoyed your answers. Leonardo DiCaprio would make a handsome ANYTHING. 🙂 I love your theory about pixies. That does explain a lot. Very clever, your book on how to build a raft…who wouldn’t want that? Thanks for joining me today! Thanks so much for interviewing me, Alicia. This was great fun! I’d love to know what your blog readers would take to a desert island. Of course, I hope that some of them would pack a copy of SIZZLE! “Cheers,” Marietta returned, and sipped her drink. Though Kendricks had a reputation for never mincing words and getting down to business immediately, he seemed in no rush to broach the subject. Through the first drink and then the second, they spoke instead in generalities—their shared interest in gardens, antiques, the theater. Since he had suggested the meeting, Marietta was determined that he be the one to initiate any discussion of a buyout or compromise. She would let him say his piece, then drop her bombshell. At first, she thought he was avoiding the subject because he wanted to disarm her. But as their conversation progressed, she realized that he had more than business on his mind. Though the tinted glasses veiled his eyes, they did not hide them, and she was aware how often his gaze traveled over her. It was like a visual caress. Harrison Kendricks wanted her. It was possible, of course, that it was all part of his plan—that, with his gigantic ego, he thought that one kiss and she’d be eating out of his hand. But even if that had been his primary purpose, it was obvious he now wanted to satisfy a great deal more than corporate desires. Besides, what difference did his motivation make? She wanted him too. She had never made love with such a dangerous man. She was aware that Kendricks, probably for the first time in his life, was faced with a problem in deciding what approach to take. For she had to be as unique to him as he was to her. She would have to find a way to help him. That gave her one more advantage. Talk of the theater led Kendricks to make some unflattering observations about American musicals and music. “No one today seems to know what music is all about,” he said. “Except perhaps you?” Marietta asked. “Really?” he said, raising an eyebrow. “And I find it rather attractive too. So I wonder why, busy people that we are, we’re sitting here wasting each other’s time sipping drinks and chatting. Why don’t we simply go up to your bedroom?” she said, rising. He followed close behind her as she walked across the room. When she paused at the big double doors, he reached around her and opened them, probably the first time in his life that he had performed such a courtesy for a woman other than his mother. Smiling to herself, she passed through them, then preceded him up the winding marble staircase. Neither spoke, but words were unnecessary. They were two of a kind, creatures who had fashioned themselves in the image of their own wants and needs. They understood each other as no other person on earth could…. Barbara Brett’s love of reading led her to a life devoted to books—as an editor, publisher and author. 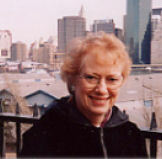 She began as a proofreader, then moved up to become editor of True Romance and True Confessions. Later, she became vice president and publisher of Avalon Books, which published fiction for the library market. After that, she started her own company, which published inspirational non-fiction. She is delighted that many of the authors she developed over the years have moved up to best-sellerdom. In addition to editing and publishing, Barbara was also writing novels. She is the author of Between Two Eternities, Love After Hours, and, with her husband, Hy Brett, the mystery Promises to Keep. 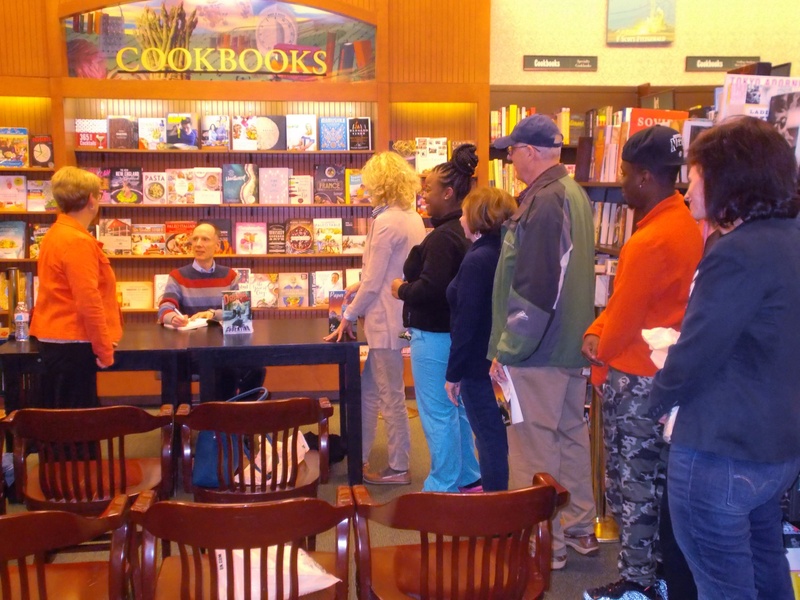 Recently she closed her publishing company so that she could devote herself completely to her own writing. 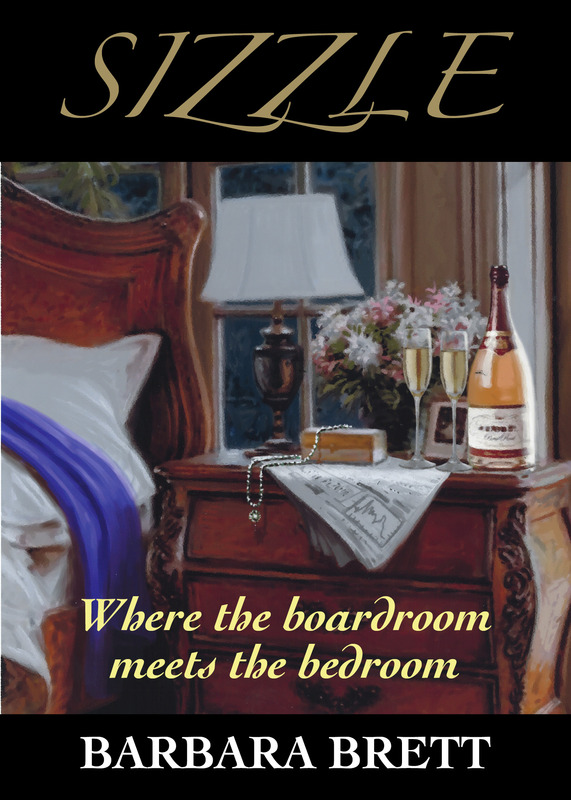 She is delighted to see Sizzle published, and she promises to follow it with many more exciting books. Barbara and Hy live in Brooklyn. When they aren’t writing, they enjoy reading, taking long walks to see the Atlantic Ocean, and treating visiting family and friends to Brooklyn pizza and bagels, which, everyone agrees, are the best in the world. I am extremely pleased to introduce today’s guest. Ashantay Peters is a fantastic author, with whom I have had the pleasure of working with on several stories as her editor at The Wild Rose Press. Do you mean other than sitting down at the keyboard and typing? Actually, come to think on it, I assemble jigsaw puzzles or make bead jewelry when I’m stuck on a plot point. Those two activities activate a different part of my brain, I guess, and I stop worrying about what’s not working in the book. When the weather is nice, I walk with a voice recorder, and more often than not, new ideas will pop up. Not from the bushes on the side of the road luckily–that would be scary! Oh, way too many to list. I do have to end this post sometime, yes? So instead of listing just one book, I’ll say I’d like to write like Jayne Ann Krentz! Both the novels written under that name and as Amanda Quick. Her books pull me in quick and keep me turning pages faster than a squirrel darting after peanut nuggets. What do you want readers to come away with after they read Deja Vu All Over Again? I write several different genres, but the one thing all my books have in common is humor. Our world is too filled with negativity, so my mission (and I did care to accept it, no “should” about it) is to give readers relief from stress in the form of laughter. I love to share smiles. What genre have you never written that you ‘d like to write? There are two genres I appreciate. First, Regency romance for the historical escape and second, science fiction/fantasy for the world building. I enjoy reading both genres, but understand I’m not ready to write either. Doggone it. Maybe next year. Carlos Santana. Yes, my tie-dyed hippie roots are showing. I’d like to meet him because he holds fascinating spiritual beliefs. His life experiences run the gamut from growing up poor to traveling the world and meeting all kinds of other famous people. I think our conversations would be wide-ranging, and when we tired of talking, I’d be happy to listen to him play and sing! Thank you for the fun interview, Ashantay. Hmmm, I keep hearing about Jayne Ann Krentz and I don’t think I’ve read her. I guess I need to remedy that. Now, Ashantay has a question for you and she’s giving away a copy of her awesome book! Who would you like to be stranded with – on an island, stuck in an elevator, in a desolate cabin during a snow storm – you choose! Or make up your own scenario. I want to hear names…fantasies…and what’s said here stays, well, on the Internet, so use discretion if you choose. But it’s more fun to let loose once in a while, isn’t it? I’ll be sending an electronic copy of my latest release, Déjà vu All Over Again, to a commenter. Rock star Jack Reed has secrets. He’s kept his first marriage to a girl he met at Woodstock, and their son, under wraps for decades. Now his child has tracked him down wanting answers. Former hippie Sally Ford never fully recovered from Jack’s betrayal of their family. She believes he put his career first then and will again, leading to another shattered ending. Jack and Sally’s first meeting is combustible. Can they confront their past and overcome a history of deceit and manipulation to find peace and love? “And how is Sally, uh, I mean, your mother?” He wasn’t sure why he’d asked about a woman who’d torn out his heart, but too late to call back the words. She doesn’t want me around. I can get down with that feeling. Jack held on to his coffee cup with both hands, happy his son hadn’t walked out yet. Sure, he’d signed away his rights to Carlos, but Sally had been impossible to find after she’d left. She’d made it clear—through lawyers—that he’d only screw up their son, and he’d believed her. Then his actions had proved her right. Ashantay Peters lives in the North Carolina mountains, the perfect location to escape into a well-written book. Her reading addiction also has her perusing magazines, newspapers, Internet articles and even food labels. The last is often feebly excused as an attempt to maintain health, but her friends know the truth. Besides this sequel to Pipe Dreams, Ashantay has four romantic-suspense/mystery releases with The Wild Rose Press: Death Stretch, Death Under the Mistletoe, Death Rub, and Dickens of a Death. She is at work on another book with an older heroine.